"These kids didn’t really have anyone else on their side." Tedde Simon, an ACLU investigator, talks to Cindy Knoebel about her work on a groundbreaking case involving detained youth. Cindy Knoebel: What does working as an investigator for the ACLU entail? Tedde Simon: Lots of different things — which is really great. I work in our Legal & Policy Department on litigation and advocacy — finding plaintiffs, interviewing witnesses, conducting background research and community needs assessments on a regional or issue basis, and collecting stories for public education. For example, we’re currently doing some amazing work with the Yurok and other Northern Californian tribes related to discrimination against Native students in schools. And I do a lot of work with our Immigrants’ Rights team, and also our Reproductive Justice teams, and other issue areas as needed. CK: The visibility of the ACLU has really expanded since Trump was elected. Anthony Romero’s message to him, “We’ll see you in court,” has been widely quoted and lauded. From your perspective, was it obvious from the first day of Trump’s presidency that for the ACLU it was “game on”? TS: Absolutely! I wasn’t with the ACLU at the time of the election — I was in El Paso doing advocacy work around border issues and immigrant detention for a small non-profit organization. Living on the border gave the election and its rhetoric an entirely different level of intensity. When I started, the ACLU had already sued the Trump administration over the Muslim ban, which of course had huge international consequences. It was immediately clear we were going need a lot of legal muscle to protect our immigrant communities. What struck us all, I think, was the tremendous desire by so many people to challenge the Trump administration in a meaningful way, and make it clear that this administration does not represent who we are as a people or what our country stands for. Supporting the ACLU was (and is) a tangible way for thousands of people to make that statement. At one of my very first staff meetings, I remember being told that our biggest mistake as an organization would be to not do enough. We were encouraged to think big and think bold. That’s what our supporters expect from us, and I think that’s exactly what we’re doing. CK: Let’s talk about a significant case you worked on, Saravia v. Sessions. What were the underpinnings of the case? TS: It started with a boy who had come to the U.S. from Central America as an unaccompanied minor and then released to his mother. For two years he lived on Long Island. On June 9, 2017, he was picked up by local law enforcement and transferred to ICE custody. He was then transferred to the U.S. Department of Health and Human Services’ Office of Refugee Resettlement (ORR). What made this case extraordinary — among other things — is that this 15 year-old boy was not allowed to call his mother or his attorney for three days. He was essentially extradited 3,000 miles across the country, to the Yolo County Juvenile Detention Facility, in Woodland, California. Here’s the other extraordinary thing about the case: the teenager was picked up supposedly on suspicion of gang affiliation, but law enforcement had absolutely no case against him. They simply turned him over to ICE. Yes, there have been issues of gang violence on Long Island. That does not mean that his basic constitutional rights could be trampled. Fortunately, Julia Mass, one of our attorneys, received a call from a colleague who filled her in on the situation and asked for help. The first thing she did was to file a habeas petition for unlawful detention on the boy’s behalf. CK: And when did you appear on the scene? TS: This was shortly after I joined the ACLU — and two things were very clear: First, this child’s constitutional rights — his due process — had been violated. And second, there were likely more kids who’d been caught in similar situations. So we started digging — and discovered other young people who had been similarly detained. Together with Bill Freeman, an attorney with the ACLU NC I went to Yolo — it’s about an hour and a half drive from San Francisco — and began talking to kids there. CK: Tell me about that first visit. TS: It was in early July of 2017. I remember it was an incredibly hot day. 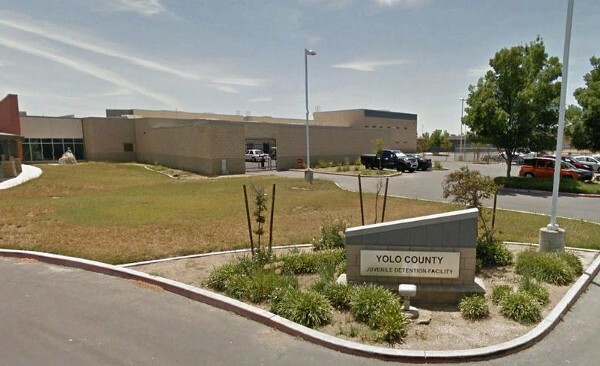 The Yolo County facility is in a pretty small community in rural California. It’s about as far from Long Island as you can get and still be in the U.S. The youth detention parking lot was nearly empty. It struck me that this was a place that probably didn’t see many visitors. When we walked inside, it felt like an institution, sterile. It was freezing, painted gray, and had metal doors — and this is when it hit me that this was the place where kids go when they’re taken from their families. This is jail. We’d arranged to interview four kids, and eventually a guard appeared and asked, “Which one do you want to see first?” as though we were being asked to order off a menu. The whole environment just felt dehumanizing. What first struck me when I met these boys? That they were just kids. Wearing institutional clothing. It was heartbreaking that these children had managed to escape violence and deplorable conditions in their home countries only to be faced with police harassment and detention here in the U.S.
Our goal for the meetings was, first and foremost, to meet the boys, tell them who we were and what we were doing. They were a little guarded when we met them. They didn’t know their rights, and they didn’t want to get their families in trouble. And, given where they’ve come from, they don’t trust the authorities or police. But overall I’d say they were pretty grateful someone had actually showed up, that there were people out there who cared about them and wanted to help. They hadn’t had any visitors, save for maybe a church group — their families were worlds away. I think there was also a sense of relief at being told that what had happened to them was wrong — despite what they’d been told. I remember this one boy told us he loved math. His face lit up when he talked about variables and algebra. He was glad he was able to take math classes at the facility. He was so excited to have someone to talk to, to share his interests with. It’s been such an honor and a privilege to be part of this case because these kids didn’t really have anyone else on their side. CK: What happened after that first visit? TS: I made the trip to Yolo three or four times, and met more kids who had been sent there. I also visited another facility in Fairfield, CA — all kids from the New York area who had been picked up in similar situations and shipped all the way to California. It just didn’t make sense. We continued to build our case file and work with the families, who, while very cooperative, seemed much more scared and distraught than their kids. Which is normal — after all, your child has been literally torn away from you, and you’re terrified about what might be happening to him. Finally, at the end of September, we filed a preliminary injunction. 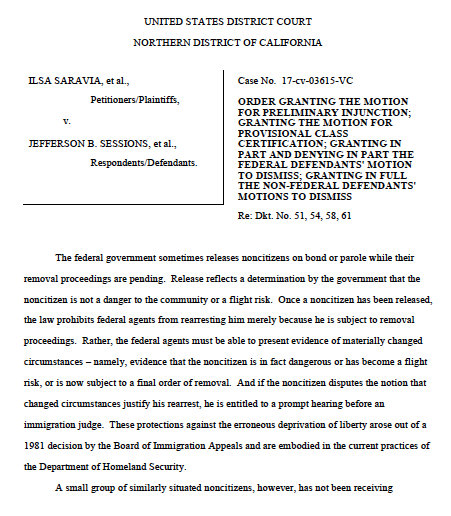 Then, on November 20th of last year, a federal judge in Northern California ruled that the plaintiff in the case — and other teenagers like him — was in fact entitled to a hearing to challenge his detention. Two days later an immigration judge conducted a hearing and ruled that the government had failed to justify this young man’s arrest and detention, and the teenager was finally able to return home to his family. By the time the holidays rolled around, 26 of 28 kids who had hearings were released and were sent home. CK: Looking back, what struck you most while working on this case? TS: That we were able to successfully intercede in the lives of these kids, who had been so seriously wronged in such a short amount of time: first in their home countries, where they faced dangerous conditions, then again when they were arrested and imprisoned 3,000 miles away from their families without due process. Through an incredible team effort that included ACLU lawyers and staff, the ACLU Immigrants’ Rights Project, our co-counsel, Cooley L.L.P., and Holly Cooper of the UC Davis School of Law Immigration Law Clinic, we made it possible for these boys and their mothers — many of whom were undocumented immigrants or survivors of violence themselves — to sue the Attorney General of the U.S. And win. 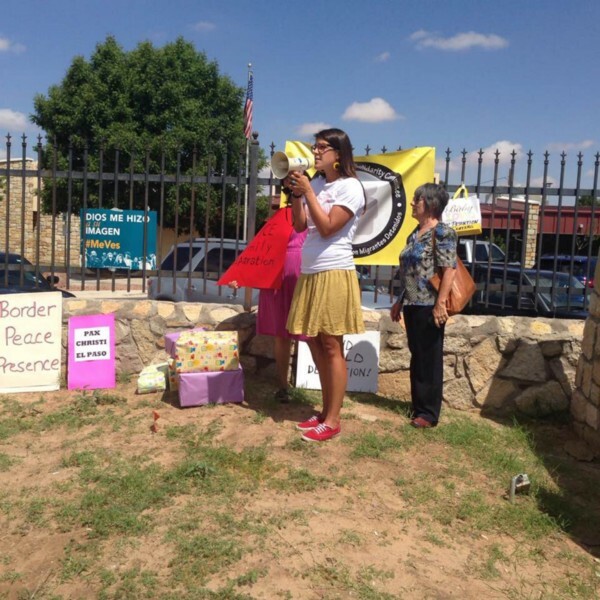 CK: And punitive action against undocumented immigrants continues to escalate. TS: We’re hearing and reading horrifying stories of this administration separating children from their families at the border, denying people the right to request asylum, a father committing suicide after his son was taken from him. It’s unconscionable. And here’s the thing: What’s happening now is an extension of this administration violating people’s basic rights, and of vilifying kids, like our clients in Saravia v Sessions,to sell it to the public. Treating Central Americans as a threat, a danger, doing whatever is in their power — ethical or not — to cast people off, it’s what they’ve been doing all along. Our clients, the kids in Saravia, are just like the kids entering the U.S. today. They came at a different time, and the way the government imprisoned them and separated them from their parents happened in a slightly different way, but … far from ending, it just gets worse. I Quit My Job Because Of ICE. You Can, Too.